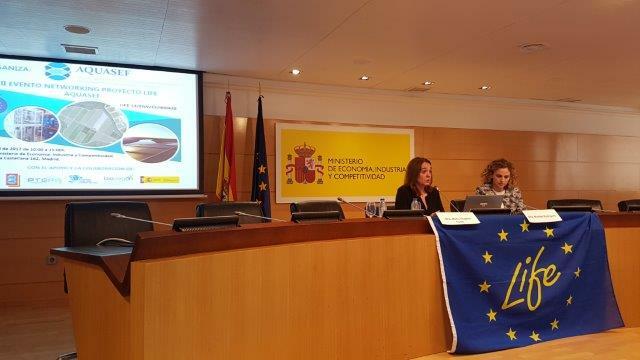 Last tuesday 25 of April, Sven Kallen of Transfer Consultancy, participated in a round table as part of the LIFE networking event of Aquasef at the Ministry of Industry in Madrid. 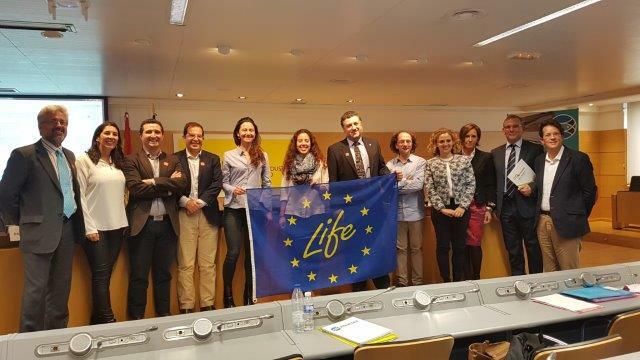 Aquasef has invited 11 LIFE projects which they had the opportunity to share their experiences and main results with the audience. To see the programm click here. Transfer has presented the main environmental problems that are facing both projects, Coop2020 and Smart Fertirrigation. The audience was especially interested in the attitude of farmers to accept renewable energies in their daily operations, as well as the irrigating with the liquids directly obtained from pig manure. During the discussion table, the debate was focused on the importance of offering end-users a competitive solution and including them in the process from the start in order to become successful. Several representatives, such as those of LIFE Rewind and LIFE Integral Carbon have several elements in common with ours and expressed interest to visit our projects. From our side we will also visit these projects in the coming months. You can download the presentation of the day by clicking on this link.